We are so excited to invite Sail Chicago members, students, and their guests, to our Season-End Celebration on Friday, November 17, 2017. For the first time, we are hosting a silent auction to raise money that will go toward renewing our fleet. Register for the Season-End Celebration here. We are like no other organization in Chicago. As you know, our boats see heavy use during the sailing season, and it's up to our volunteers on the maintenance teams to keep them in tip-top shape! By participating in the silent auction, you can help Sail Chicago with our fleet renewal efforts as some boats will eventually need to be retired. The event is open to members, students, and their guests and includes a buffet dinner. The cost is $30 per person, and there will be a cash bar. Email Sarah (Pellegrino) Wirth with questions about the event and for questions about the silent auction, email Rachel Granneman. The sailing season is over, and our fleet has been safely tucked away in the Canal Street Marina for the winter. 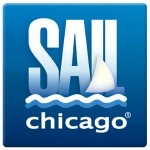 There are still sailing-related activities going on among the members of the Sail Chicago community, however. Our boat teams, headed by Boat Managers have already begun their maintenance functions to prepare our fleet for the next summer. They will continue to work at the Marina, primarily on the weekends, until the weather prevents them from doing so. Being part of a boat team is a great way for our newer members to learn some of the intricacies of boat maintenance and to meet other members of the Sail Chicago community. Our End-of-Season Gala is coming up Friday, November 17 (see article above). 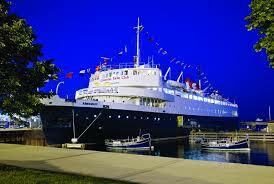 This year it will again be held at the Columbia Yacht Club (the big blue boat at the south end of DuSable Harbor). Make sure to get your reservation in early. As we head into winter, we'll also be offering some winter seminars on sailing-related topics. Watch for upcoming announcements and future articles in Between the Sheets. Remember also that the Strictly Sail Chicago Show will be returning to McCormick Place January 10-14. In the December issue of Between the Sheets we'll be asking Sail Chicago members to help us man our booth at the show. It's a great time to see all things sailing. The show also contains much useful sailing information in terms of seminars and exhibits. Volunteers get in free. Now is also a good time to consider how you plan to meet your annual service requirement. This requirement must be met by the time that sailing season begins next May if you want to participate in any on-the-water activities. We are currently looking for someone to organize our winter seminar program. This person receives service time credit for working with the instruction team to determine what seminars to offer our members over the winter months. It's a great opportunity to learn something while getting together with each other during those non-sailing months. Please contact Christine Garvey if you are interested. Although the boats are out of the water, Sail Chicago instructors are still at work discussing the events of the last season and planning for the next. Our instructionteam is always reviewing and fine tuning our three curriculum lesson grids for the Basic, Intermediate, and Skipper Prep classes as well as the curriculum for our Cruising Program. Our main goal is to further align the Sail Chicago curriculum to that of the US Sailing Basic Keelboat program. A curriculum committee does much of the review and all Sail Chicago instructors will meet on November 18 (2:00-4:00 p.m. at Sulzer Library) to discuss this past season and make plans for the coming year. 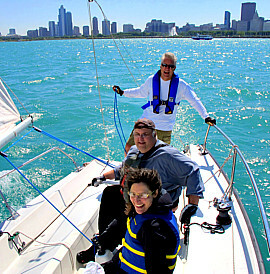 If you have any curriculum or lesson suggestions or other ideas, please share with Leadinstructor@sailchicago.org. 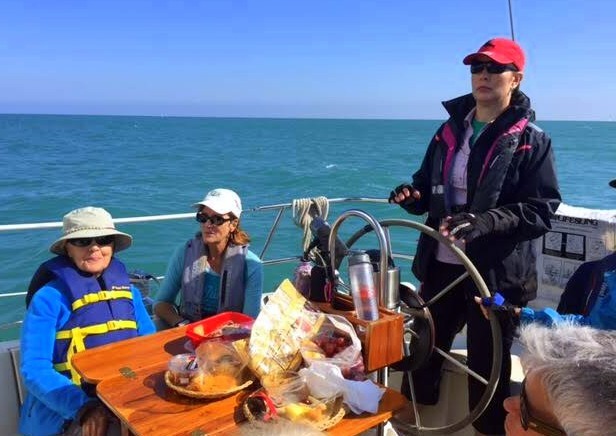 A few weeks ago, Sail Chicago hosted its first women's Member Cruise Outing on Calypso. As the skipper, Maureen Huston, described it, "It was a spectacularly perfect day, and everyone took a turn at the wheel with stand-by help as needed." The event evoked a high level of interest, and Sail Chicago looks forward to similar events in the future. The Sail Chicago Board met on Thursday, October 12 at a new location, the offices of Foresight in the Civic Opera Building at 20 N. Wacker, Suite 100. Guests should contact Michael Swisher so that their names can be added to the list for the security guard.